You don't have to have a Ph.D. in computers, math, or engineering in order to enjoy this magazine: I don't possess such credentials, and I think Wired is outrageously good. 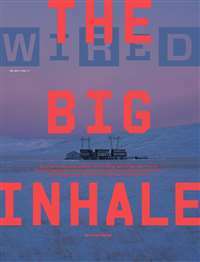 The appeal of Wired is information on cutting-edge technology, delivered in a highly visual, understandable, and often entertaining format. A subtle sense of humor pervades the magazine with features such as "Return to Sender" - a contest in which Wired readers attempt to send the weirdest possible item in the mail to the magazine's San Francisco headquarters; or "Japanese Schoolgirl Watch" - which tracks the latest trendy gadgets favored by one of the world's most trend-obsessed demographic groups. Wired endlessly scrutinizes and ponders on the intersection of technology, humans, and society in its terrific articles. 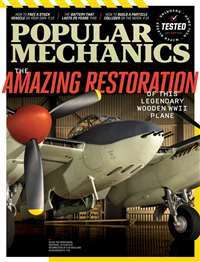 The articles are always interesting, and well-written, with topics such as artificial sight research, or the shenanigans of MIT's Blackjack Team in Las Vegas (9/02 issue); parents of extremely ill children, united via the Internet in their challenges to the medical industry (9/01); or a profile of the Ibot Transporter "inventrepreneur," Dean Kamen (9/00). Wired is a beautifully presented, outstanding magazine. Try one issue - you might get hooked! Hands down, my favorite magazine! I value my time, and, probably like you, get news and information from multiple sources (internet, magazines, newspapers, and TV being the principle venues). As far as magazines go, Wired is my favorite by far; I still look forward to getting it after 5 years, and on the off chance it doesn't arrive in the mail on time, I slap around my mailbox in dissapointment. It's impossible to not be intrigued by whatever cutting-edge technology they're following, the stories of the pioneers who are developing it, and the social implications of their deployment. But Wired is about much more than new and interesting technology, for me, it's about perspective. Wired always takes an adventurous and unorthodox view on todays social, scientific, and political topography. But most refreshingly, they observe the world optimistically. I'm abundantly aware of the misery of this planet, and in case I momentarily forget, I can cycle through any of the 10 news channels I have on TV for a stinging dose of painful reality. Wired doesn't keep you immune to the challenges of our day, but rather than "objectively" explore them, they help me view the news through a lens of productive possibility. In addition, every issue contains a "radar update of cool"; cool music, movies, books...cool gadgets for home and lifestyle; Wired is - aside from being my favorite magazine - also, in my humble opinion, the coolest. My favorite magazine is probably still Wired magazine. I have been a subscriber almost continuously from around 1994 or so. Despite a history of excessive advertising and embarrassing flag waving about the glory of the internet economy Wired has consistently informed and entertained me with quality articles about the things that I enjoy: internet, software, business, technology, politics, travel, etc. It has also been a major innovator in terms of the visual style of magazines. Their style was as new and different at its introduction as was MTV when it first appeared in the 80s. The articles are largely targeted to 20 - 40 year old upper-middle-class, liberal technology industry oriented people, although I doubt there is anything in its content that conservatives or non-tech people would find offensive. My issue goes straight into the toiletside magazine rack every month when it arrives. I purchased this magazine for my son ( a 14 yr old science mind). He loves it! He educates me after reading each issue. 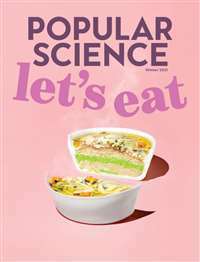 It is difficult to find magazines to enhance or go beyond classroom instruction. When this one arrives, we do not see him for hours. I bought Wired for him a year ago and will happily keep renewing his subscription. It is now April 13, 2008; this magazine is still going strong in our house. I still highly recommend this magazine. It is now March 24, 2009; several years have passed and we still are still enjoying this magazine! This magazine is beautiful. I've still got their 2nd issue from way back then and their designs used to be outrageous up until completely unreadable. Fortunately Wired's current design is still (somewhat) cool, but readable. They've won all the prices: that alone is a reason to check it out. Wired is often wrong, very wrong even. Anybody remember "push technology"? (they dedicated a significant part of an issue declaring that the browser your still using was obselete), Wired Fund?. There are many examples where Wired makes *big* mistakes . However, its counter-culture meets business meets high tech stile is unmatched. A visionary that produces a new vision every month can't be right every time. That's why I am taking a subscription again. Buy a newsstand issue, love it, and get a subscription too. What I like about wired: it's simple, they forget about rules and guidelines and push boundaries where they can be pushed, write stories nobody else wants to touch on, say what they want about products that others won't dare. It's what this magazine is known for. They keep things interesting every month and they are quite diverse that you can always find a way to spend an hour or two going through the magazine. How many other magazines out there will write a FIFTY page article about the DOJ vs Microsoft and not give a hoot about how much space that took. Or write a aritcle after article that on some pages are just nothing but text, no pictures, no cheat sheets, just text. Or that review products givng them a bad name while the advertiser is staring you in the face on the next page. They have a cult following and a very talented staff....please, check this out...it's so cheap you owe it to yourself to get a subscription!! If you want to know what are the best and the coolest new technological trends, and how they may impact your life, there is probably no better magazine out there than Wired. I have loved Wired since I first picked it up 5 years ago. It felt like, finally, someone made a magazine for ME. Technology applied to culture, trends, daily life, medicine, fashion, and much more! I've always bought this magazine on the newsstand. It's informative,funny and responsible. Now I'll never miss an issue. This is an awesome read. Great topics, great writing. Wired is always a couple of months ahead of the game. Watching the topics that are covered in prime time TV, I often wonder if they take their cues, and get their inspiration from the social issues covered here. Wired also offers great insight into technology and the businesses that surround it, profiles design trends, and occasionally covers cutting edge sports too! I loved their recent article on kite-surfing.